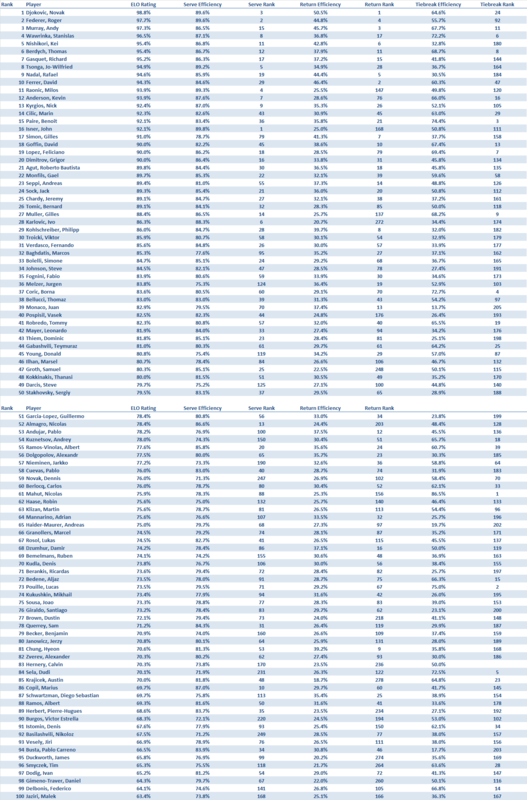 Below are the updated Riles Clubhouse ratings for the ATP. This rating methodology mimics the ATP ranking system inthat it uses the last 12 months but instead of a point system, it uses Elo ratings to rank the players. Also included are players serve, return, and tiebreak efficiencies that are calculated in a similar manner to the basic ratings. 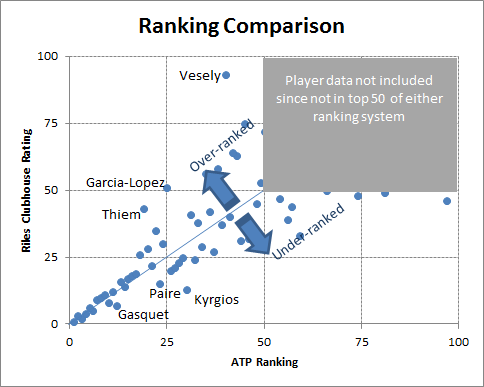 Below, the above ratings are compared to ATP ranking system.